…a passionate, diverse collection of farmers, workers, drivers, and thinkers who are dedicated to passing the bounty of the earth into the hands of your customers. 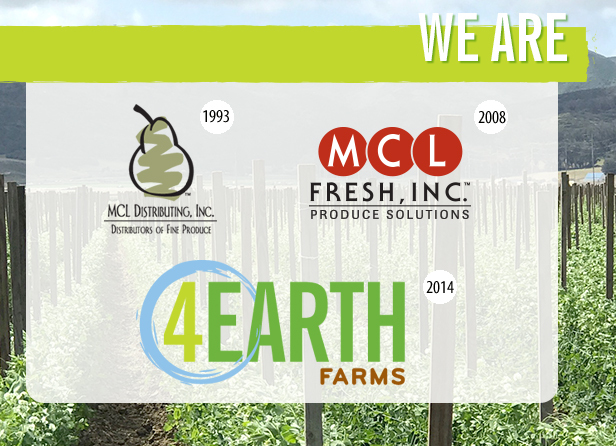 4Earth Farms was founded in 1993 on a very simple ideal: provide superior customer service and high-quality and consistent produce year-round. 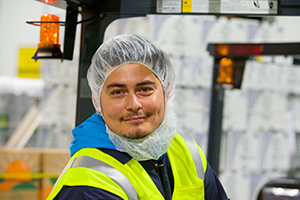 Over the years, our guiding principles have grown with us – rapid innovation that responds to our customer’s needs, sustainable practices, and measurable stewardship at every level. We see ourselves as sticklers for quality. Ambassadors of efficiency. Champions of the consumer. Custodians of the earth. For the past 12 years, I have been responsible for building orders, loading trucks and assisting on the dock at 4Earth Farms. 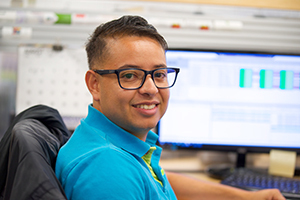 What I enjoy most is making sure orders are accurate and providing the best service to our customers. I have been at 4Earth Farms for 8 years. I’m the quality control technician in the production room and I enjoy making sure everything that leaves 4Earth Farms is labeled correctly and is of the best quality. The atmosphere here makes it a great place to work. I started working at 4Earth Farms 3 years ago as a landscaper, who then moved onto inventory control. I enjoy the fast-paced environment where I can face challenges. Working in procurement, I mainly focus on green beans, brussels sprouts, snow peas, snap peas and shishito peppers. I value 4Earth Farms’ investment in its people and how they reward those who want to further their education and career.